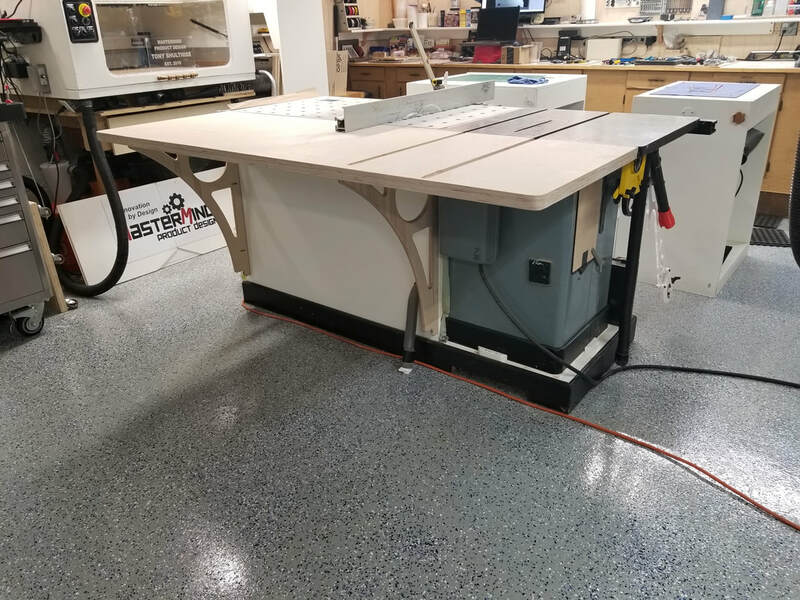 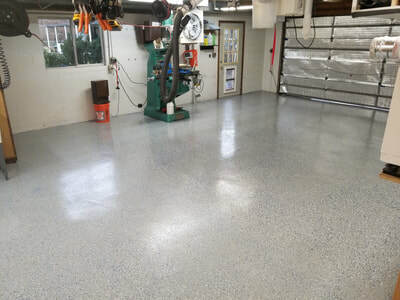 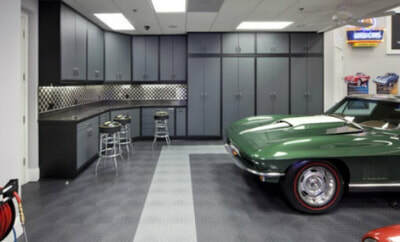 I was pretty happy with my shop floor for over 30 years but when I started organizing the shop I felt like the "feel" of the shop would be much better with a nice floor coating. 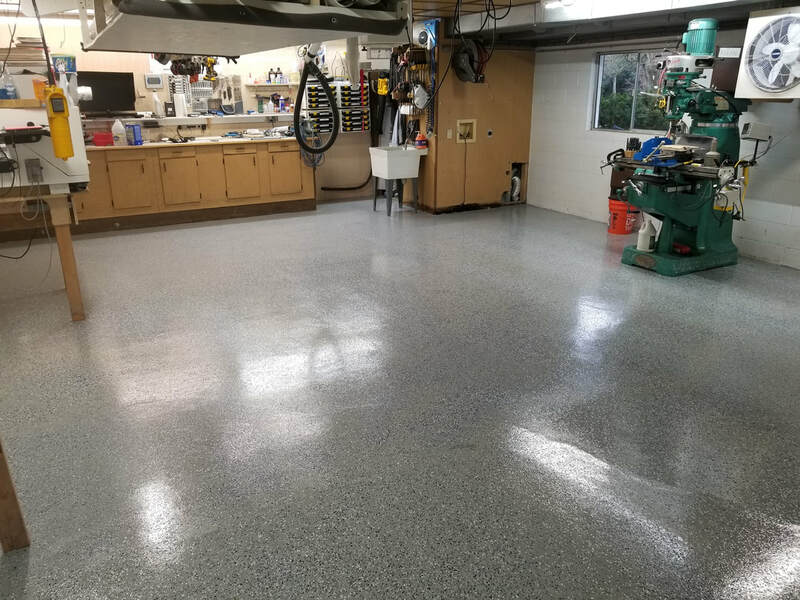 If I would have realized how much a simple epoxy floor coating would totally transform the feel of the shop I would have done it many years ago. 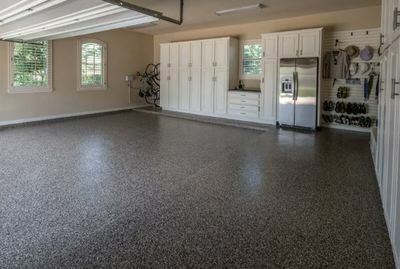 The space feels much more like a professional workshop and no longer feels like a garage. 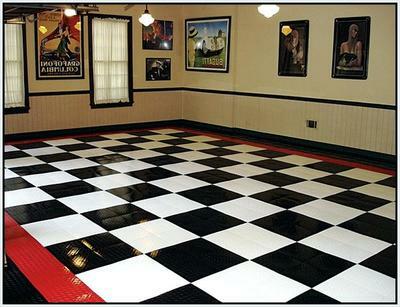 As you can see from the pictures, the floor looks nice enough to use for more than just a workshop. 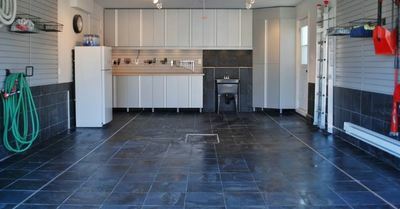 I couldn't be more pleased though and I enjoy working in this space much more now that it has such a good look and feel. 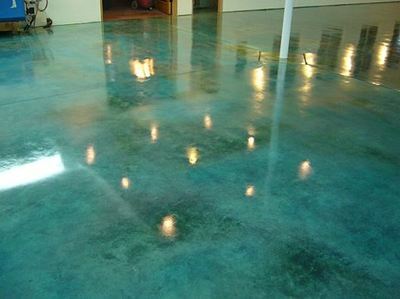 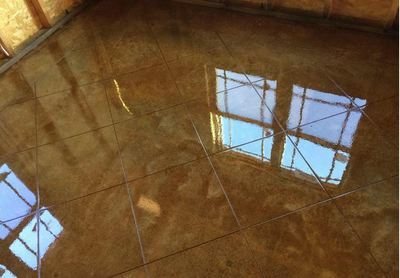 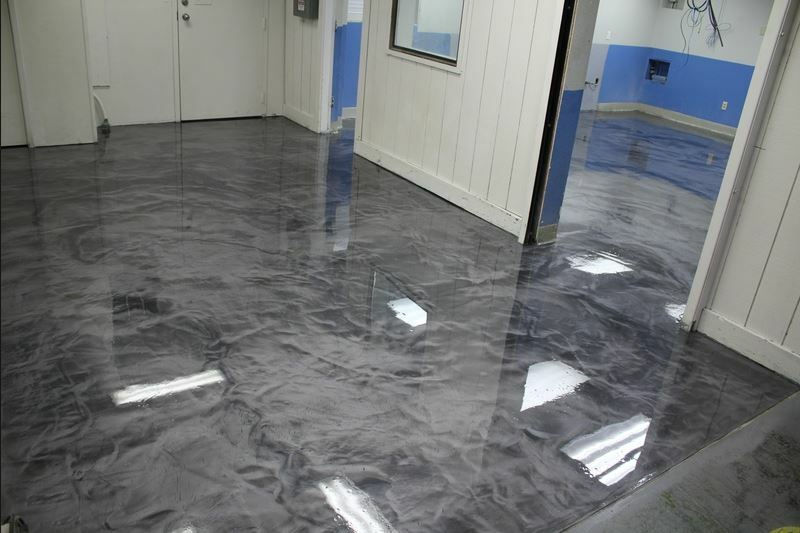 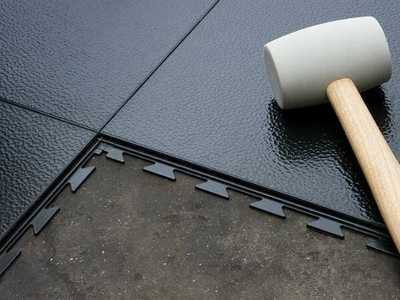 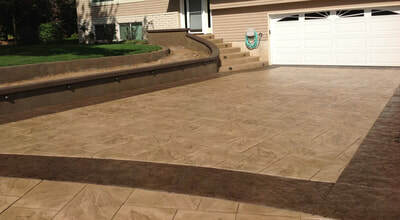 Ensuring that the concrete is rough, clean and dry is the most important part of the process. 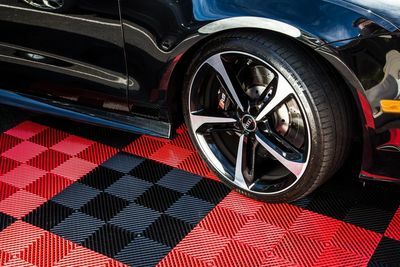 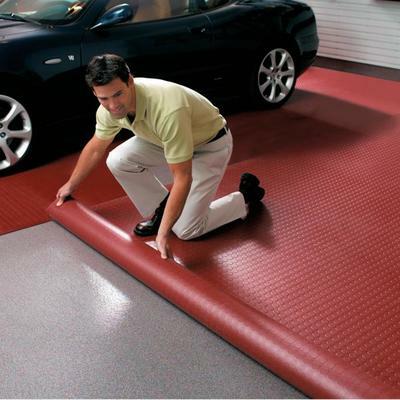 If it is too smooth, not clean or if it has moisture wicking up then the coating will start peeling up over time or when you park a car with hot tires on it. 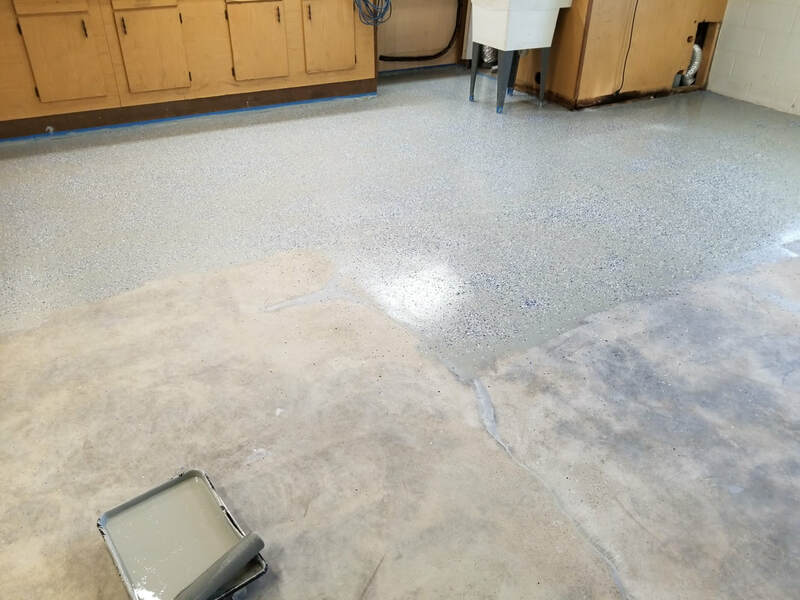 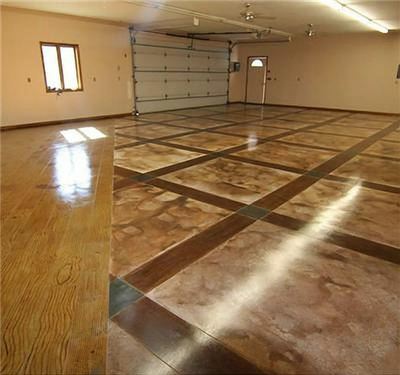 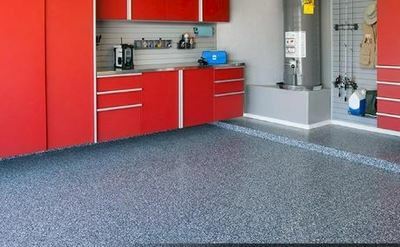 With the proper prep an epoxy floor will last for decades. 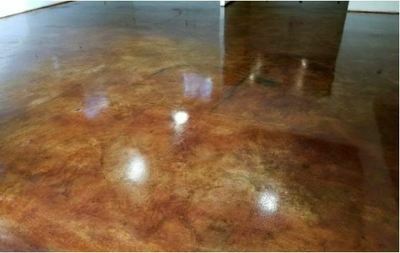 One note to mention... most coatings are not suited for very high temperatures so if you weld, use a plasma cutter or mill hot shavings onto the floor then I would suggest using a stain and sealer for those areas. I prepped the floor with grinding out cracks and filling them. 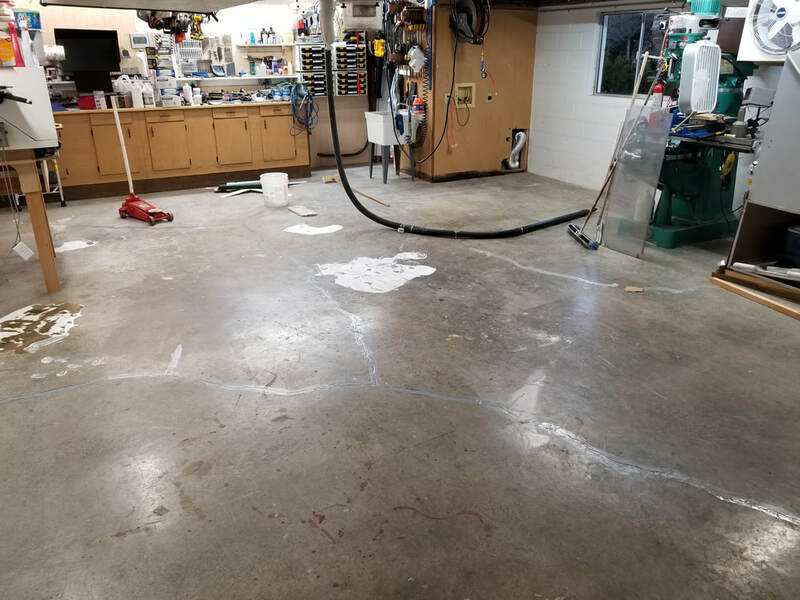 I mechanically ground the entire surface of the concrete because it was sealed and acid etching didn't have any effect. 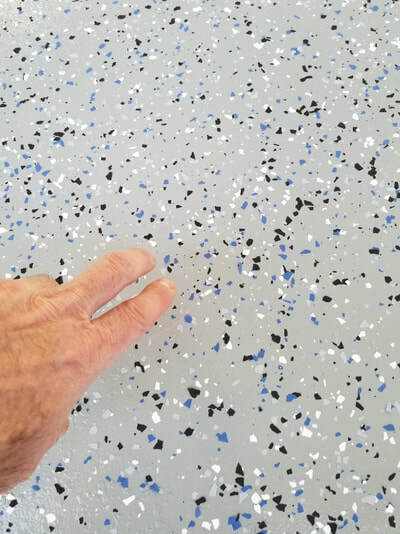 I painted it with a 2 part epoxy coating and applied the color chips by just throwing them by hand. 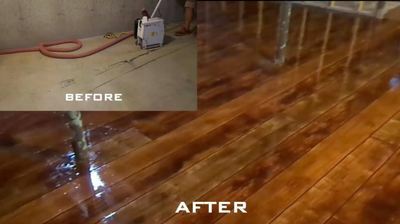 I then coated it with a Polycuramine clear coat which I highly recommend. 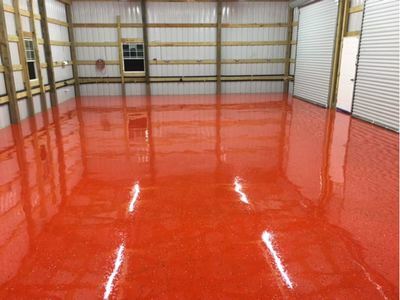 That's what gives it that showroom floor finish. 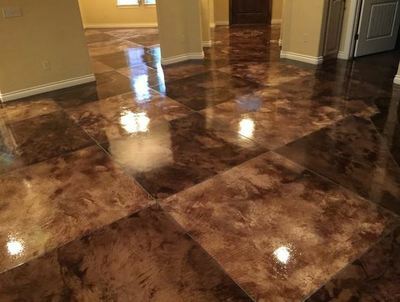 I applied the chips heavy which gives the floor a texture and makes it less slick but if you plan to have water or a lot of sawdust on the floor I would recommend adding sand to the clear coat to provide extra grip. My dust collection is almost 100% efficient so I rarely have much sawdust on the floor and I don't get the floor wet often so I did not add sand to mine. 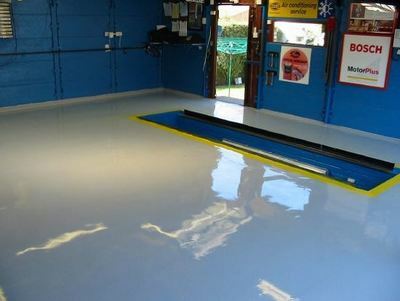 Even so, I've not slipped on it in the 6 months that its been installed.